At Zimmaro Law, we are dedicated to ensuring we take care of all our clients, and that their legal needs are met and exceeded. Attorney David Zimmaro is committed to providing you top notch legal representation with personalized client service. Unlike some other firms, you will deal directly with Attorney David Zimmaro. We serve a wide range of clientele, and value every client relationship greatly. Attorney Zimmaro has extensive experience in areas of criminal defense, DUI defense, personal injury, car accidents, motorcycle accidents, truck collisions, slip and fall, industrial accidents, defective products, and oil & gas matters. We approach every client with a focus on integrity, advocacy, and understanding. We fight for you! "Total professional. Answered the phone and got back to me immediately throughout my case. Confident and ready to fight for me. Great guy. Great lawyer." "To any and all in need of excellent legal advice or legal expertise, I wish to share my highest recommendation of David Zimmaro. At a time with I least expected to find myself in the lowest point I have ever experienced in my life, I was fortunate to find Mr. Zimmaro." 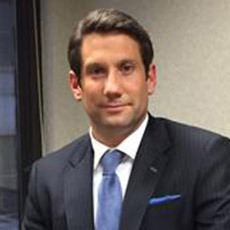 "Attorney Zimmaro has significant experience representing both business and individuals in breach of contract actions, employment related disputes, compensation disputes, shareholder/partner disputes and personal and commercial real estate litigation." "Treat you like family, one of the best in the businesses! Couldn’t ask for anyone better to guide me and help me through the situation. Dave was and still is a great person, I’m glad that he was and still is on my side"